When traveling to Sweden, it's important to remember that the electrical outlets used in this Scandinavian country are different from those used in the United States. Sweden uses the Europlug (Type C and F) for electricity, which has two round prongs and outputs 230 volts of power in Sweden. 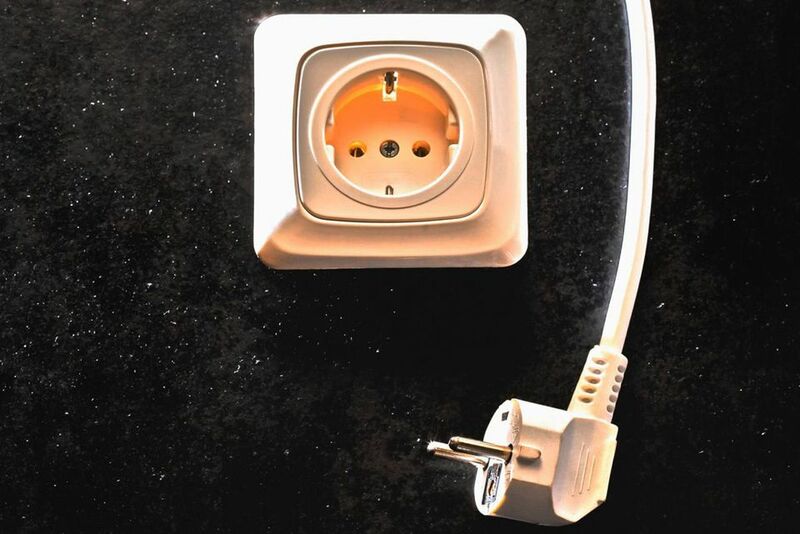 Since the United States uses outlet Type A and B, which feature two flat pins or two flat pins and a round pin, you will be unable to use American appliances in Sweden without plugging them into an adapter and possibly a converter first.​ Power adapters and step-down transformers (power converters) are relatively cheap, and you can generally buy them while abroad just as easily as you can at home. Still, it's a good idea to pack these electrical devices for your trip and check to make sure your appliances can accept 230 volts before you go. Virtually everyone who travels has a cellphone that will need daily charging, and many also take along tablets and laptop computers that will also need to be plugged in from time to time. These devices generally automatically adapt to whatever the voltage is, so you likely will not need a power converter to charge them in Sweden, but you will need a USB power adapter to fit into the plugs in Sweden. Just plug the USB end of your device's charger into the USB travel adapter as you normally plug it into the plug adapter at home. One major thing to consider when attempting to use American electrical appliances in Sweden is that the United States' electrical system typically operates on 110 volts of output, while Sweden's operates at 230 volts. (Other countries in Europe operate between 220 and 240 volts). If you attempt to plug in an American appliance that is only designed for 110 volts, it could fry the appliance completely. It could also start an electrical fire, so this should not be taken lightly. To prevent starting an electrical fire or damaging your appliances, check the label near the appliance's power cord that shows its voltage rating (typically 100 to 240 volts or 50 to 60 Hertz). If your appliance is not rated for up to 240 volts or 50 to 60 Hertz, you'll need to buy a power converter, which will reduce the voltage to just 110 for your appliance. These converters cost a little more than simple adapters. If you need to use a power converter to limit the voltage flowing from a Swedish outlet, you can easily plug this device into a universal converter or one that converts from Type A and B to Type C and F.
As a general rule, it's a bad idea to bring any type of hairdryer to Sweden because it's difficult to find a suitable converter because of their high power consumption. Instead, you can check if your accommodation in Sweden has one in the room or if not, just buy a cheap one locally. When it comes to buying a power adapter for international travel, especially when you're visiting more than one country on your trip, getting a universal adapter is really the way to go—but you'll still need to make sure you don't also need to get a converter depending on your appliance's voltage capacity. Sweden's Type C outlets feature two round holes for the plug and don't have a ground, while Type F outlets have these same two round holes with a third ground pin. American outlets operate in essentially the same way except for that Type A outlets have two thin rectangular holes, and Type B outlets have an additional third round hole for the ground. Universal outlets allow you to convert Type A and B to Type C and F easily.